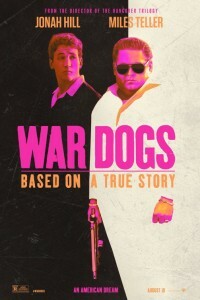 War Dogs, starring Jonah Hill and (the absolutely overrated) Miles Teller, tells the true story of two young men, David Packouz and Efraim Diveroli, who won a $300 million contract from the Pentagon to arm America’s allies in Afghanistan. Todd Phillips, who directed all three The Hangover movies, directed War Dogs. Wild Tales is one of the five 2015 Oscar nominees for Best Foreign Film. It lost out to the movie Ida (the 2015 Oscar winner for Best Foreign Film).